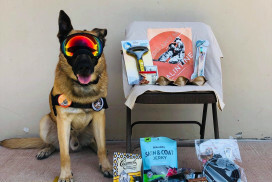 Military Working Dog Team Support Association (MWDTSA), Inc. Military Working Dog Team Support Association (MWDTSA), Inc. Supporting both ends of the leash since 2006. Traditional monetary donations but also donating your time help us help our dog teams. What ways can I donate? Getting the word out is imperative to helping our dogs and their handlers. 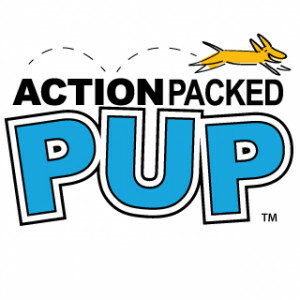 Click here to find out how Action Packed Pup is supporting MWDTSA throughout the year. For each toy you purchase for MWDTSA, Action Packed Pup will match it one for one, doubling your donation! View our 2017 annual report to see how MWDTSA impacted MWD teams across the globe and continued our commitment to Support Both Ends Of The Leash. Q2 care packages will be mailed in early May. If you would like to support this event, please consider purchasing an item from our Amazon Wish List. 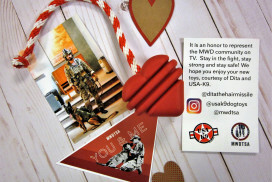 Bowser Beer has been a great supporter of MWDTSA and they're continuing that through the sale of their custom labels. A portion of the proceeds from this Charity Custom Label 6 pack of their infamous non-alcoholic Bowser Beer will be donated to MWDTSA this holiday season. Buy a 6 pack and split them up for all of your furry friends! Customize the label with your own pooches face and customize your own brew name by clicking on the picture above. Green Trout Outfitters is a small, American based business that specializes in making hand made, 100% hand dyed cotton leashes & collars for your pet. A portion of the proceeds from the camo "Leashes With A Cause" will go to MWDTSA throughout the holiday season.